NASA fixed the Hubble Space Telescope by restarting and jiggling it around on Oct. 19 after a gyroscope failure forced the multibillion dollar telescope into safe mode on Oct. 5, a press release revealed Monday. The first thing NASA tried was to restart the telescope’s navigational gyros. “This procedure turned the gyro off for one second, and then restarted it before the wheel spun down. The intention was to clear any faults that may have occurred during startup on Oct. 6, after the gyro had been off for more than 7.5 years. However, the resulting data showed no improvement in the gyro’s performance,” NASA’s statement said. The second set of commands scientists gave to Hubble involved jostling the satellite in orbit to clear away debris that might be affecting the gyro. “On Oct. 18, the Hubble operations team commanded a series of spacecraft maneuvers, or turns, in opposite directions to attempt to clear any blockage that may have caused the float to be off-center and produce the exceedingly high rates. During each maneuver, the gyro was switched from high mode to low mode to dislodge any blockage that may have accumulated around the float,” NASA continued. The gyroscopes NASA uses to measure small movements in the Hubble are delicate systems. Within the gyro is a wheel spinning at 320 revolutions per second while suspended in a thick liquid and powered by minuscule floating wires. These machines work hard, wear out, and have expiration dates when they will have to be replaced by one of Hubble’s standby gyros. One of these mechanisms failed after lasting six months beyond its expiration, but the last of Hubble’s standby gyros failed to come online properly when activated on Oct. 6. Hubble will be replaced entirely in 2021 by a bigger space telescope, the James Webb Space Telescope (JWST). The orbital telescope, which has cumulatively cost taxpayers over $10 billion, has required mid-flight repairs before. 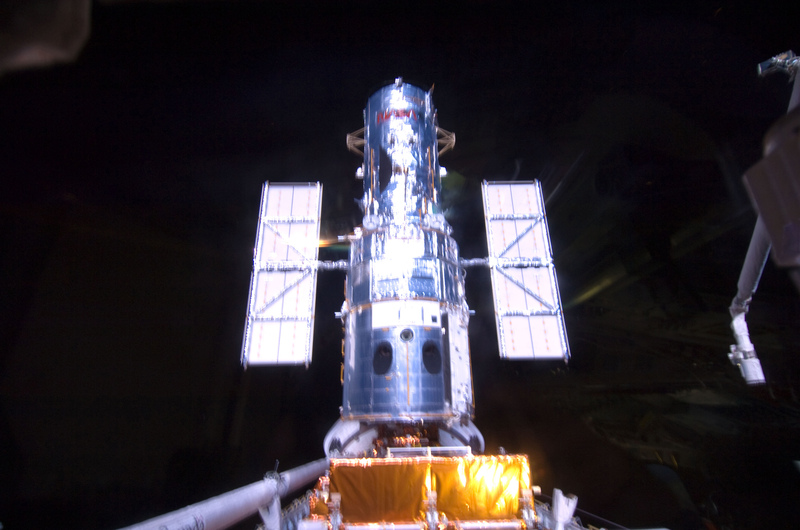 Two of Hubble’s four maned multimillion dollar service missions have revolved around replacing and maintaining a number of the six gyros housed within the observation satellite. This fix was not nearly so costly or dangerous.